1. What's your opinion about the script? I want a more informatic paint! When script doesn't open or doesn't show monsters, delete your RSBot folder. For windows located in the %temp% folder. 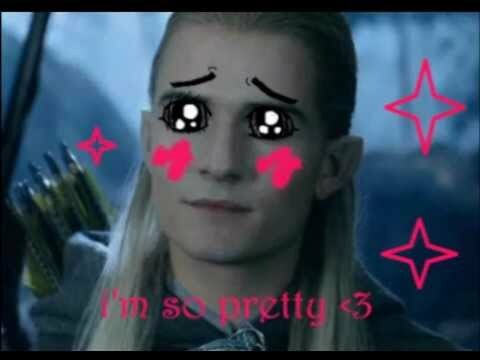 Always wanted to become like Legolas?! This is your chance! With this script, you'll achieve 99 in every combat skill like a boss! You can now move the paint around! Drag the paint to places never seen before. Banks the given items to resupply! Simply select the monsters you want to attack. Open doors / gates / ... when target is unreachable. Fast target switching when a monster is dying, optimised for single and multi-combat! Ability to define up to 3 safe spots. Run back to the safe spot when you're in combat or the moment you attacked your target. Give the maximum radius to attack and stay in. Doesn't attack monster below-given monster health percentage. Eat every food below given health percentage. When out of food, the script stops and runs to a safe spot if possible. Fully support for dwarf multi-cannon. Loot items are above given GE price or id or name by picking it up or casting telegrab. Pick up and bury bones. Pick up and reequip ammo. Re drinks every potion after a given amount of time and lets the script pot up for you. Ability to stop script after given amount of minutes or gained EXP or levels in given skill. Paint shows info for the skill you're currently training. Fully threaded antiban to lower ban rate! Save and load your settings! Ability to change settings after you loaded them in. Define if you're fighting in single combat or in multi-combat. If ticked, the script will open up the doors / gates / ... between your target and you if it's unreachable. Change the current centre point to the tile you're currently standing on. Radius where you'll stay in, fight in, search loot in while running the script. Set safe spots where you'll fight from. You can define up to 3 safe spots. You can do this by clicking on the "Set Safespot" button. This will add your current location to the list. Only attack an NPC when his health percentage is above a given percentage. Use the special attack of your wielding weapon on given energy. Eat any food in inventory above given health percentage. Use your dwarf multi-cannon. Make sure given position is valid to place a cannon! All NPC's around you in given radius. Click refresh to reload all NPC's in given radius. Ctrl + select all NPC's you want to attack. Loot all item inside radius with GE price above given number. Loot given items inside radius (You can insert item names and item ids). Loot your items by picking them up or casting telegrab. Pick up given bones and bury them (Only when reachable). Pick up your ammo and reequip (Only when reachable). Tick on if you want the script to drink potions for you. Choose a potion in the drop own menu. Script will re drink potions after given amount of time. Click add to add the potion. Added potions will appear here. Select a potion in the menu and click delete to delete the potion. Tick on if you want the script to drink every potion you gave in at the beginning of the script. Tick on if you want the script to drop your empty vials on the ground. When recording your path, are you running to the bank or to your training spot. Name of the item you would like to withdraw from the bank. The amount of items you would like to withdraw from the bank. Add item amount to the list. Remove selected item from the list. The items the script will try to withdraw from your bank. Stop script after a given amount of minutes. Stop script after given amount of earned EXP (combined EXP: Attack, Strength, Defence, Range and Magic). Stop script after you reached given level in given skill. Select if you would like the script to log your character out when it stops. Save your settings (except for your monsters) to a ".legolasSave" file on your computer. Load your settings from a ".legolasSave" file on your computer. Bank when out of ranger ammo. Paint until version 2.02 made by [member=Han]! Complete GUI rewrite, Fixed several bugs, Added looting option for individual items, Ability to pick up and bury bones, Pick up and reequip ammo, Stop script after earned EXP or earned levels. Paint shows info for the skill you trained last. If you switch combat style, TTL and Levels gained will switch accordingly. Bug fixes. The script is back up and running thanks to [member=Chris] for the account! Fully working Save / Load GUI option. Lets you edit the GUI after loading your settings! Added support for all potions. Let the script pot up for you. Drop vials if you want. Added clear safe tiles button. Added antiban. Added warning if the center tile is far away when loaded from safe. Added broad bolts. Fixed some small bugs. Fixed bug when drinking more than 1 potion. Delete antiban option. Automatically added into the script. Fewer options for the user. Added banking support (You can bank when you run out of food, potions, cannon balls or when your inventory is full with loot.). Option to log character out when the script stops. Fixed spam clicking door, picks up arrows when stack > 5, various bugs. Fixed various bugs. Now only loots when player has not attacking. Script now fixes broken cannon. New paint (a lot more information). Moveable paint! Ability to drag your paint to another place. What does "in combat" means? Located @ number 4. And for people wonder if it's good or not, definitely give it a shot! Going to try it now..
Im wondering @ what monsters it will be good? Trying to get my range from 61-80.. what do you suggest? It says it picks up items but does it bank them too? Script is awesome! When you think drinking potions would be ready, cant wait for it! Awesome scripts. Are there anti-bans in the script? I'm 90% done with burying bones. Support for dwarfcannon is next. After would come drinking potions. if you could put an agressive npc choice that would only eat and loot, like in bandit camp, that'd be nice. and thanks for the realese, nice script! Haven't seen any screenies so I thought I might share one. Just a couple of minor issues I've noticed are the paint's TTL and Levels Gained are automatically set to ranged and can not be changed, maybe add an option for that in the GUI? Also, for the looting option, can you give us the option to choose our own specific loot along side the current looting option? Other than that, great script mate, I salute you for it. Edit: Something I noticed is if the script is competing against a ranger or mage for kills, it doesn't notice the targeted nps has already been attacked by someone else for almost a good second. It might not seem much, but over the course of hours it becomes a noticeable bot-like behaviour. But I don't really understand what you mean. You can set it up to only eat and loot atm. Thanks for the feedback and the proggy! Make sure to setup the right combat situation. If you use it in multi combat, it will not look at other people attacking the npc. If you set it to single combat. It will. Maybe you could add potions and cake support? Cake is supported since it will eat everything in your inventory with an "Eat" option. Potions is on my "to-do" list.